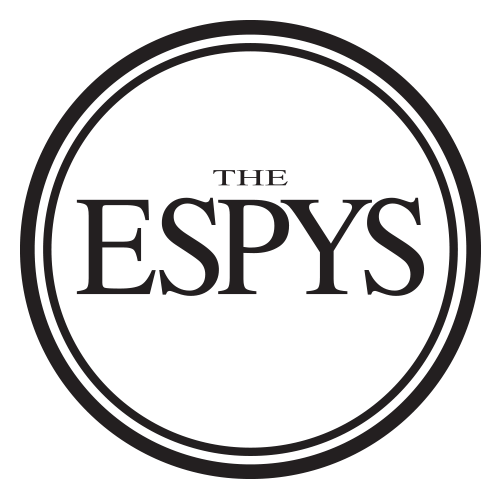 The hundreds of survivors of Larry Nassar's sexual abuse were given the Arthur Ashe Courage Award at the 2018 ESPYS. Many of the survivors detailed their respective accounts of abuse in a video that played before the award presentation. Actress Jennifer Garner presented the award and said that while the survivors' story is difficult, it is one that the world "has to hear." The women, known collectively as "sister survivors," who spoke out against Nassar were honored Wednesday for their "strength and resolve" for bringing "the darkness of sexual abuse into the light." Sarah Klein, who identified herself as the first to be abused by Nassar, said that she and the more than 140 other survivors on the ESPYS stage "represent hundreds more who are not with us tonight. Make no mistake, we are here on this stage to present an image for the world to see: a portrait of survival, a new vision of courage." "Telling our stories of abuse over and over and over again in graphic detail is not easy ... it's grueling and it's painful, but it is time," Klein said. The courage award is given annually to those who embody the spirit of its namesake: tennis legend and longtime human rights campaigner Arthur Ashe. Nassar, the disgraced USA Gymnastics and Michigan State team doctor, was sentenced in January to 40 to 175 years in prison after seven days of impact statements from more than 150 girls and women who said he sexually abused them in what amounts to the biggest case of sexual abuse in the history of American sports. The sexual abuse of hundreds of female athletes was put to a stop when a group of brave women came forward to expose it. "We stand here and it feels like we're finally winning," said Tiffany Thomas Lopez, a softball player who was abused by Nassar. "1997, 1998, 1999, 2000, 2004, 2011, 2013, 2014, 2015, 2016. These were the years we spoke up about Larry Nassar's abuse," Olympic gold medal gymnast Aly Raisman said Wednesday. "All those years we were told, 'You are wrong. You misunderstood. He's a doctor. It's OK. Don't worry, we've got it covered. Be careful. There are risks involved.' The intention: to silence us in favor of money, medals and reputation." "To all the survivors out there, don't let anyone rewrite your story," Raisman said, later adding, "We may suffer alone, but we survive together." Kelly, a member of the Pro Football Hall of Fame, is a cancer survivor, and on Wednesday he encouraged people to use positivity in the face of adversity. "Make a difference today for someone who is fighting for their tomorrow," said the former Buffalo Bills quarterback, who was joined onstage by his daughters Erin and Camryn. "When I look across this arena, and when I talk to people, you don't need to be a Russell Wilson or an Aaron Rodgers to make a difference out there. Every single person in this room can be a difference-maker. You can be a normal person that gets up every morning and goes to work. But you can be a difference-maker, putting smiles on those faces." In other special awards, Jake Wood of Team Rubicon was honored with the Pat Tillman Award for Service. A former Wisconsin Badgers football player and Marine, Wood is the co-founder of Team Rubicon, an organization that helps veterans re-acclimate to life back at home through service projects and disaster relief. The award for best coach went to Aaron Feis, Scott Beigel and Chris Hixon of Marjory Stoneman Douglas High School. The three men were among those who died in the February school shooting in Parkland, Florida.